Have you ever wanted to read a graphic novel of Riyria? Well, I have. At the present time Orbit owns the rights to most of this work, and there's been no movement to take it to that next level. I'm considering what it would take to buy back those rights and do something myself...a topic for another day. I hope some of you are as excited as I am to see this brought to life. If you want a copy for yourself, well the digital version is free to all backers, and print copies are just $6 US and $9 to ship to all other locations. I can't wait! As I'm pretty busy with the third Riyria Chronicle (The Death of Dulgath) my wife stepped in and made something I've wanted for awhile...a sampler of Royce and Hadrian short stories. The problem, is I wanted it for free...so new people could experience Riyria for no money, and existing readers could pass it on to friends and loved ones without cost. Big publishers can get books free easily, not so trivial for self-published works (except for those who are in Amazon's Select program and as such can make their stories free for 5 days in 90 - but to do so they have to be exclusive to Amazon). There is a technique that can sometimes get a book "perma free" and thanks to some of my readers, we got this one to switch over to free so I can let people know about it now. Amazon US | Barnes & Noble | iTunes | Smashwords | Scribd. | Kobo. For those on sites where it's not yet free (like Amazon UK), you can get it free from me at this link. 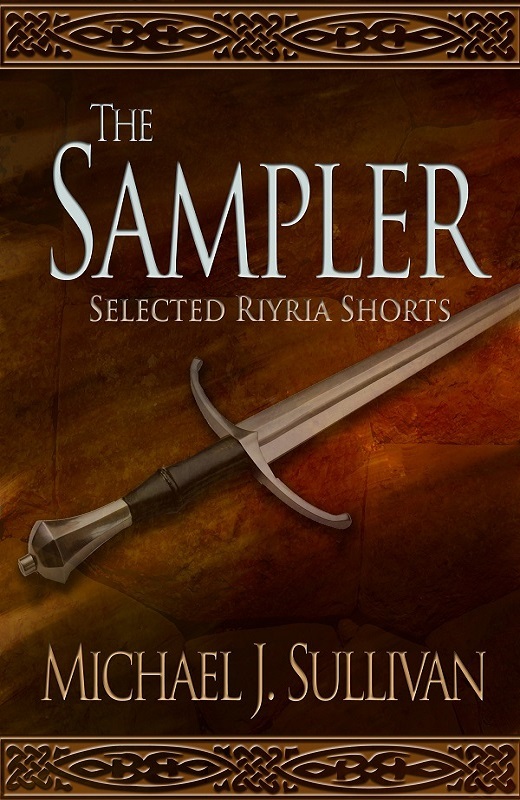 What's in The Riyria Sampler? I'm glad you asked! The Thieves: A band of thieves sets upon two lonely riders in the middle of the night. They had a larger party. They had the element of surprise. There was no reason to be concerned, but they didn’t realize who they were dealing with. Origin: This was a scene written, and cut, for Nyphron Rising (the first novel in the Rise of Empire omnibus). Eventually, it became the opening of Theft of Swords when Orbit purchased and republished the series as three, two-book volumes. 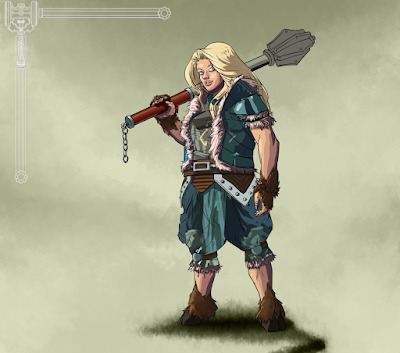 The Viscount: Eleven years before they were framed for the murder of a king, before even assuming the title of Riyria, Royce Melborn and Hadrian Blackwater were practically strangers. Unlikely associates, this cynical thief decides to teach his idealist swordsman partner that no good deed goes unpunished. Will Royce wind up proving his point or be schooled himself? Origin: This was published in the fall of 2011 under the title The Viscount and the Witch. It was written to provide a gift to my fans after my books were removed from the market to make room for Orbit’s versions. It’s also the seed that later became The Riyria Chronicles, and this short now appears as the second chapter of The Rose and the Thorn. The Jester: Stop me if you’ve heard this one. A thief, a candlemaker, an ex-mercenary, and a pig farmer walk into a trap…and what happens is no joke. 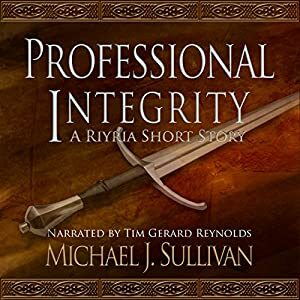 When Riyria is hired to retrieve a jester’s treasure, Royce and Hadrian must match wits with a dwarf who proves to be anything but a fool. Difficult choices will need to be made, and in the end those who laugh last do so because they are the only ones to survive. Origin: First released in the Unfettered anthology (edited by Shawn Speakman and published by Grim Oak Press), I did something a bit unusual with this short story. Faced with a word count restriction, I wrote what is essentially the climax for what could have been a full-length novel. I throw the reader into the middle of the action and make only brief allusions to what had come before. It’s an interesting experiment and seems to have worked out well based on the high praise it has received. The Death of Dulgath: When the last member of the oldest noble family in Avryn is targeted for assassination, Riyria is hired to foil the plot. Three years have passed since the war-weary mercenary Hadrian and the cynical ex-assassin Royce joined forces to start their thieves-for-hire enterprise. Things have gone well enough until this odd assignment to prevent a murder. Now they must venture into a forgotten corner of southern Avryn—a place whose history predates the First Empire. As usual, challenges abound as they try to anticipate the moves of an unknown assassin before it’s too late. But that’s not their only problem. The Countess of Dulgath has a dark secret she’s determined to keep hidden. Then there’s the little matter of Riyria’s new employer…the Nyphron Church. This sample is an excerpt, not a short story. It’s the opening scene to my new novel, which will be coming out before the end of 2015. It hasn’t yet been copy edited (I’m still writing the novel), so please forgive any minor mistakes you may find. I do think it’s in pretty good shape, but I often find my opinion and my editor’s opinion are two different things. So, if you've always thought about trying my stuff and haven't. 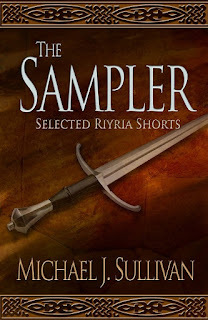 Or if you have a friend you'd like to rope into the world of Riyria - please checkout the new Sampler, and I hope you enjoy it. A number of the backers are first-timers, but there is always some cool to consider on Kickstarter. Since it's the weekend and I usually use that for Authors Helping Authors, I thought I'd highlight some of projects that we think might be of interest. Check them out, and if you find something you like, please consider sending a pledge their way. It's been a big week at the Sullivan household. 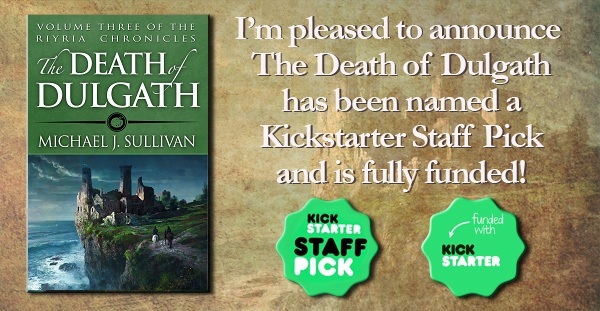 The creative juices are flowing, and I'm 70% through the writing of The Death of Dulgath. Near as I can calculate, I'm about two weeks ahead of schedule and will have the book ready for alpha reading in mid-July. On the Kickstarter front, the generosity of my readers (both new and veteran) is nothing short of amazing. We're not even two weeks in and have already attracted more than 1,000 backers, who have contributed more than $43,000! We funded the hardcover print run in the first two days, and we're well on our way to funding a paperback print run. It's the next stretch goal. Speaking of stretch goals, we've unlocked four of them which will provide all kinds of added perks including new maps, a poster, signed bookmarks, signed ebooks, and print upgrades. If things continue to go well, we might even get The Jester adapted to a graphic novel. But the most exciting news of all is the four-book contract with Random House's Del Rey imprint is finally signed. This takes a huge amount of pressure off of Robin (who has been doing the contract negotiations) and makes it easier for me to plan what I'll be writing next. There was a fairly substantial "bump" in the road on the way to signing, and I'd like to take a minute to talk about it as it will effect release schedules. There were several items that came about as part of the contract that would affect what I could release and when. No books released before the books Del Rey was publishing. No books based in Elan to come out during the term of the Del Rey contract. The first Del Rey book to be released in the summer of 2016. With those restrictions, I didn't think we could sign. The last Riyria book came out in 2013 and it could mean that another one wouldn't hit the street until 2020. Seven years was just far too long. I didn't think that would be good for the Riyria fans (and therefore not good for me). It was sad, but I felt I would have to decline this contract even though it was (a) providing a very high advance (b) going to elevate me to hardcover status and (c) providing a nice income "safety net" for the next six years. It was a shame, especially since all the parties wanted this deal to go through. Not to be deterred, Robin (my wife), Laurie (my agent), and Tricia (my publisher) started working on some "creative solutions" which saved the deal. An exception was made for the Third Riyria Chronicle, as long as it was released before the end of 2015 (which would keep it a good distance from the debut book of The First Empire). We swapped out one of the First Empire books with an Elan-based book. I have several planned, and I'm not sure which one it will end up being. A lot will depend on how well received The Death of Dulgath is. If people read it and still want more Royce and Hadrian, then it is likely it'll be another Riyria tale. Other choices include The Fall of Percepliquis (a book featuring Essrahadon and the events that toppled the first empire), a post-Riyria book that I've outlined several years ago but haven't gotten around to writing, or a new series featuring Jerish and Nevrik. But no matter what it turns out to be, we can advance more than one "Elan" series simultaneously. I'm also able to release other "non-Elan" books between the ones Del Rey is releasing. Again I have several choices for what they may be. A sequel to Hollow World is definitely on the table, as well as a new trilogy that has been waiting in the wings. It's even possible something new will come to mind that's not even on my very long list of books to write. With the contract finally signed, we'll be able to make announcements soon on things like "official" release dates, covers, titles, and so forth. Keep in mind that from Del Rey's perspective their clock just started now. So although it was announced in February (and we agreed to the terms in January), they are only now able to do "real work" on the project. From my perspective, I've done what I needed to do. I submitted the final manuscript on April 28th and I'm waiting on changes from my editor. I'm pleased that we were able to find some common ground, and I'm looking forward to partnering with Del Rey for both The First Empire and some Elan-based work. I'm also enjoying the heck out of reuniting with Royce and Hadrian and it's nice there will be a book out in 2015. All in all good, but very busy times. 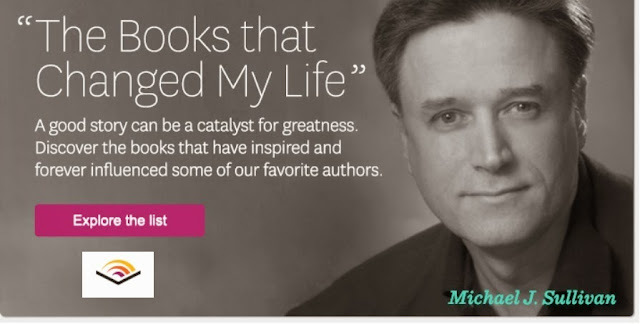 One of the cool things about Goodreads is it's listopia feature. This gives readers a means to vote on all kinds of things. One of the most common is lists of books that are coming out. There is a list called, Can't Wait Sci-Fi/Fantasy of 2015. 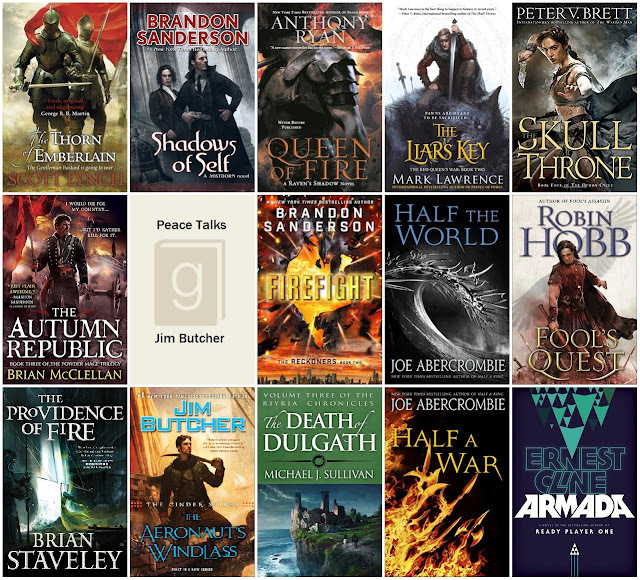 I'm pleased to find The Death of Dulgath represented, especially since I only recently knew I had to write and release it in 2015 ;-) Here are the top 15 books. If you want to add the titles to your Goodread's shelves, here's a list of them with links. I little different take on our Authors Helping posts this week. In the past, Audible has done a nice job asking authors their opinions on various subjects. I really like seeing what they have to say. Why anyone would care about my opinion is beyond me, but it's still nice to be asked. This month they wanted us to impart some wisdom to new graduates as they set out into the world. For my own part, I selected a book that is all about passion...finding yours, and how to express your enthusiasm to attract people who share a love for what sets your heart ablaze. For most people, we'll spend the majority of our lives at our "jobs," so it had better be doing something you love. For me, it's no secret that is writing. But it wasn't until very late in my life that I realized it was possible to find people who enjoyed the fruits of my labor and were willing to support me in such efforts. 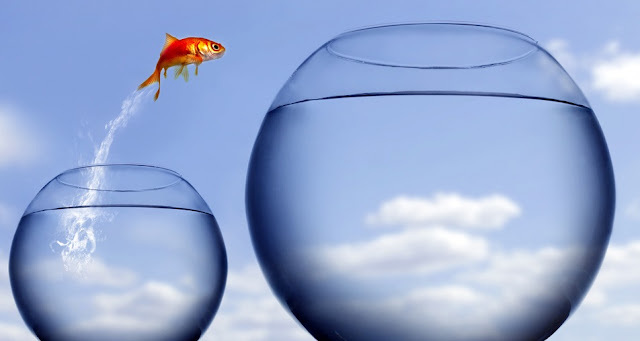 Simon Sinek is a great inspiration to me. He opened my mind to something that I somehow knew instinctively, but he was able to articulate. To show how it's not what you do but WHY you do it that matters. 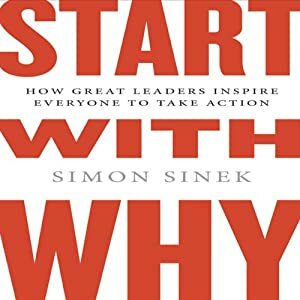 So my best piece of advice for those trying to figure out what they're going to do with the rest of their life is to find their "why," and Simon can help. Straight from the creative mind of Marc Simonetti, comes the next Riyria Chronicle cover. I present to you The Death of Dulgath. but there are several reasons for this. I never felt that the models used for the other pair were a good representation of how I saw Royce and Hadrian. But, by the time I saw them it was far too late to do anything about it. In general, I don't like featuring the characters as I want the readers to come up with their own depictions of what people look like. I have no access to the pictures from the original shoot. 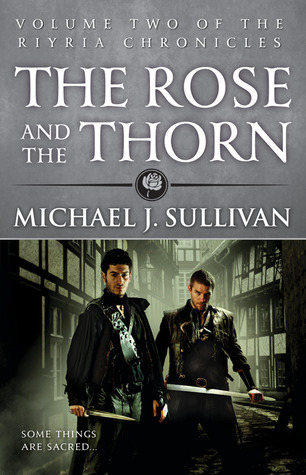 To be honest, I think The Rose and the Thorn should have stayed on the cutting room floor, but again not something I can do anything about. For this cover, we wanted to keep Royce and Hadrian's back to the camera and focus instead on Castle Dulgath, a run-down abode on the edge of the sea and the site of the majority of the novel. If you like Marc's amazing artwork, we just hit a stretch goal for the Kickstarter that makes this available as a 24" x 36" poster. They're just $9 US and $22 for overseas and ship in a sturdy tube so there won't be any creases and they'll be suitable for framing. If you want more than one, each additional one is just $4 more. Things are coming together nicely...we have the title, cover, and I'm more than 50% through the writing. I'm even a bit ahead of schedule so things are shaping up nicely. Can't wait for The Death of Dulgath for your next Riyria fix? Well, I have a little something that might help. My short story from the Blackguards anthology is on audible.com (US | UK), and it's FREE! Several years have passed since the war-weary mercenary Hadrian and cynical ex-assassin Royce joined forces to start their thieves-for-hire organization better known as Riyria. Things have gone well enough for the team as they do "jobs" for various nobles throughout Elan. Usually that means stealing something, but when a young heiress asks them to steal her…well, that's a first for the pair. All is not as it seems, but Royce is determined to get the bottom of what's actually going on. After all, he has his professional integrity at stake. Originally released in the Blackguards anthology published by Ragnarok Publications, this is a standalone short story of 10,800 words. No prior knowledge of The Riyria Revelations or The Riyria Chronicles is required to enjoy it to its fullest, making this a perfect introduction for new readers or a chance for existing fans to spend a little more time with old friends. 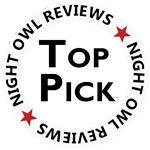 So, give it a listen, and please consider leaving a review on on audible or goodreads. Yes, all those accomplishments have occurred in under 4 days of the Death of Dulgath Kickstarter. People keep writing me with statements such as, "How can you be surprised, didn't you expect this to happen?" Well, I guess that depends on what part of "this" you are talking about. Did I expect the project to fund? Yes, of course, if I didn't think it was possible, I wouldn't have done the Kickstarter in the first place. Did I expect it to happen so quickly? No, absolutely not. Ideally, I wanted to run the Kickstarter for 30 days, but given I launched on the 4th of June, I didn't want it ending during a holiday weekend. So, I had two choices, move it up or move it back. If I thought it would fund quickly I would have moved it up. To be honest, I thought there was a real chance that we'd be "working hard" to get that last bit of funding toward the end; so, I stretched it out. Wish I could go back and change that. With regards to Staff Picks, there are 6,931 live projects and only 557 Staff Picks. That's just 8%. Being in the top 8% of anything is difficult, but if you've spent any time on Kickstarter, you know some of the coolest things of all times started out there. Projects such as Lumio, Pebble Watches, Coolest Coolers, and even a hugely successful campaign to bring back Reading Rainbow. When you look at just publishing projects, which is a relatively small sub-segment of Kickstarter, there are only 55 Staff Picks, and if you narrow it to fiction there are only 7! As for being one of the highest funded projects of all time, well, I did have a high goal. So, if it funded it would hit spot #33. I did think it would surpass Hollow World (at spot #20) because that was (a) science fiction rather than fantasy - which isn't what I'm known for (b) not part of a series (c) my first Kickstarter and I've learned a lot since then. But again I thought we would be 3 - 4 weeks into the campaign before that would hit. So, yes doing it before day four comes to a close was beyond my expectations...by a long shot. So, the obvious question is, what's next? Well, there are plenty of things...a poster of Marc's artwork for Dulgath, interior illustrations, paper upgrade, gold-foil stamping, but there is one that I thought was WAY beyond my goal, that may be possible now. What is it? Well since we will have a hardcover print run, why not go for broke and do the trade paperback editions as well? Yes, it's a lot of additional money, but given the strength of the campaign, we just may be able to reach it. Thank you for funding the Kickstarter!! Well, what can I say...you guys are the most amazing backers ever! I truly thought it would take pretty much the entire allotted time to fund, but you did it in 47 hours and 26 minutes! Guess I'll have to get going on the stretch goals ;-) That's an amazingly short period to raise $26,000. It's doing even better than Hollow World, which I thought was a huge success. In fact, we already have 77% of it's members and are running about 400% higher in contributions on a day-to-day-comparison. I'm so very happy that we'll see "the boys" in a hardcover edition. Thanks again for the amazing support and I'll get some additional stretch goals up soon. If you are just learning about the Kickstarter, you can join the party at this link. Short Story - double spaced, 1" margins, 12 point font (Times New Roman Preferred, Courier discouraged), Page number in footer, Name, email, and word count in header, maximum word count 7,500. If you are not familiar with the contest, you can check out the "Helping Author" section of the Kickstarter (it's at the very end). Basically, I'm going to bundle in a short story with my novel and pay the author more than twice the going professional rate. Emailed submissions must arrive before 7/16/2015 12:00 midnight EST. Pay rate: $0.15 a word for up to 5,000 words, and yes, shorter works are perfectly acceptable. 5,000 words is not a "preferred" length; it's the size I picked to budget the prize amount. The story may be a maximum of 7,500 words, but the payout will not exceed $750. While I'll consider any work regardless of genre or style, it should be noted that the audience who will be reading the story will be fans of my work. So, to capture THEIR attention it may be best to submit something that you suspect my readers would enjoy. What does that mean? Well, I write light, fun, classic fantasy with a bit of humor. If you aren't familiar with my work, you can ask for some free samples via this sign-up form. The author retains all rights. NOTE: If the work hasn't been previously published, you'll lose first-publication rights, but there's nothing I can do about that. Bottom line, you'll be able to publish the work elsewhere and earn whatever income you can outside this contest. The contest is open to people regardless of locale, who will be responsible for taxes based on their country. US residents must provide a tax identification number (social security or business FEIN). A 1099-MISC form will report income to the IRS. The contest is open to all writers regardless of past publishing history. While I would prefer a never-previously-published piece, I'll consider all works. You do not have to be a backer of the Kickstarter to participate in the contest, although I would appreciate you telling friends or loved ones about the project if you think they would be interested. If you have any questions about the contest, you can send an email to sullivan.short.story.contest@gmail.com. Robin will be watching it and responding every other day or so. Good luck with the submissions -- and thank you all for the amazing Kickstarter support. How Amazing Are Riyria Readers? Pretty freaking amazing. Talk about exceeding expectations! We're not even 24 hours into the launch of the Kickstarter for the next Riyria book, and we're already at 84% funded. 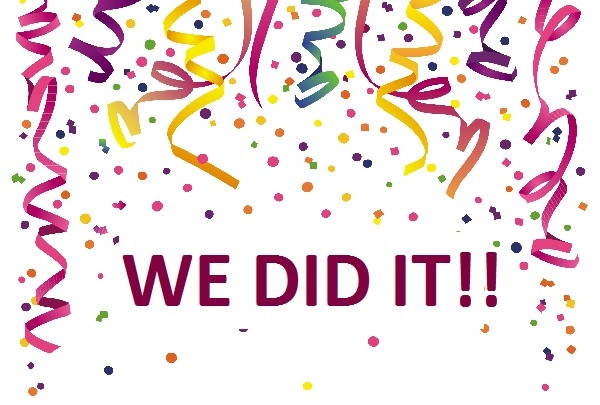 You wonderful people have pledged almost $22,000 toward the $26,000 goal. So, I must admit that when we launched the Kickstarter, we thought it would have a "big first day" but truly we didn't know it would reach this height. In the first 12 hours, we had almost hit $20,000. Of course getting to full funding is the big goal for today. As soon as our goal is reached, I can start setting up ISBN's for the hardcover editions, get the contest running for the included short story, and start the distribution logistics for bookstore placement. While there is no doubt that I'm doing this Kickstarter for my particular project, I'm also doing it as an experiment that can help other authors. In today's turbulent publishing environment, writers need a wide range of tools at their disposal to make a living from writing. I hope the success of this Kickstarter will encourage others to try them out as well. If we do end up getting bookstore placement of The Death of Dulgath, then we may develop a model that other authors can use. Hybrid authorship truly represents the best of both worlds for authors, and my goal is always to do what I can to help others learn from my experimentation. Robin has started writing a "Kickstarter Primer" book that we'll be giving away for free for anyone who wants it. If you would like to be notified when it is available, you can sign up to receive a copy from here. Thanks again, everyone for all the amazing support. I'm hoping we'll get fully funded today and then we can move on to some cool stretch goals! Anyone who pledges in the first 48 hours will receive a free short story, Professional Integrity. This was released in the Blackguards anthology released through Ragnarok Publications. It will be delivered just as soon as rights revert back to me, which will be in early September. For those who aren't familiar with this project, it's intention is to raise $26,000 of the $33,600 needed to do a hardcover print, warehouse the books, and distribute them through retail stores. If the project doesn't fund, there will still be a book, but it will be released only as a trade paperback, ebook, and audio versions. Plus, we'll not be able to provide the cool add-on stuff like t-shirts, posters, and coffee mugs. Robin has worked hard to produce this Kickstarter, and, like all she sets her mind too, has done a bang-up job. I think this will be a lot of fun. I hope you'll join us.